How many hours have you spent adding buttons, gadgets and widgets to your new blog or website? You research the right tools, share buttons, share bars, analytic tracking tools and more. You install them with a hope and a prayer that someone somewhere is going to use them. However, unfortunately many business leaders find they don't get used. The share buttons sit on their site with the lonely zero or default +1. Chances are your pocket book or wallet might be feeling a little lonely too. What if you took the same time you spend on the share bars, share buttons and tools and instead first focus on something worthy of a share? I know it sounds like a crazy concept because after all it's far easier to focus on the bright shiny objects, geeky tools and data analytics. 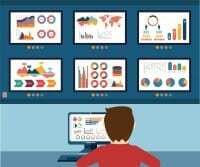 Trust me, I am a data junkie and could literally spend all day helping my clients dig into the heads of their target audiences with a goal of embedding their brand in their brains! 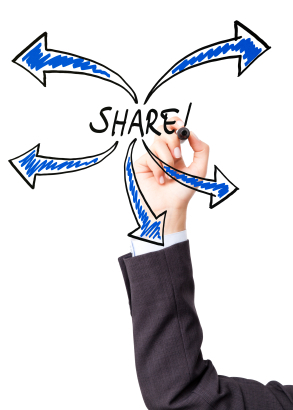 Is your content worthy of a share? Why should I read your content in the first place? Why should I believe what your content says? What about your content is going to help me grow my business? What about your content will add value to my life? How is your content relevant to me or my business? Why should I like, pin, retweet or Google +1 your content? How is your content unique from the other million blog posts out there? How and what benefit are the members of my community and followers going to receive from the content? Why should I take action on your behalf? If you really want success with online marketing and social media you must at some point provide relevancy. Yes, you can avoid this for a short period of time. You may be able to sell your boss and executive stakeholders on the number of retweets, likes and pins. Your board may get excited by the super star retweet you get from the latest singer rockstar from American Idol. However, at the end of the day the same question still remains… what is your content doing for me? What is it doing for your audience? What is it doing for your business, stakeholders, shareholders and customers? Let's take a look at the definition of content marketing. The words that matter. Make note of these words highlighted above. Notice any themes? I know you are all smart enough to understand where I am going with this. You know what the words above mean. So I am going to ask you the same questions… is your content relevant, engaging, high quality, valuable, actionable? Is it content that is going to inspire me to give you my attention? Will it inspire me to take action? To engage with you and your brand? Is it going to inspire me to take an action that will benefit you and your business? Well, I can tell you that if you are not thinking about the above words on a daily basis as they relate to your business, your Facebook pages, your tweets and your email blasts, then the chances you are going to attract me, inspire me to buy anything from you are few and far between. 1. Learn, download and embed the definitions and words above into the dna of your brain. 2. Take the same words and embed them into the DNA of your marketing and business plans. 3. Don't let your relationships turn all digital. 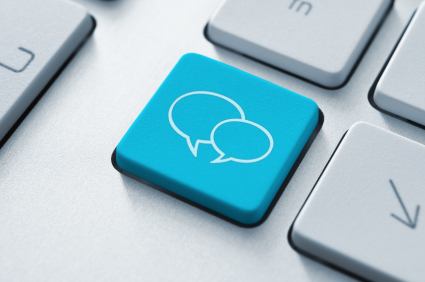 Talk to your customers, partners, stakeholders and prospects in real life. Get that eye to eye, hand to hand connection. Get in their head and in their heart. The people in your online and offline communities are truly the heartbeat of social media. 4. Don't assume you know what you don't know. If you haven't asked your audience what they want the past two years I'd suggest you ask. You might be surprised in the result. 5. Set goals and objectives for measurement. You can't optimize, monetize and measure what you do not track, so set goals and objectives early. 6. Be honest with your internal skill set. If you don't have the right skill set internally don't be afraid to outsource. There are many awesome writers who are affordable and can often deliver much higher quality work than what you can do yourself at a lower cost. 7. Get out of your box. If you have had the same team for the past few years, then you need to get an outside opinion. Even our agency occasionally hires an outside writer to help us with new perspectives and ways to connect with our audiences. A third or fourth eye can never hurt. 8. Be patient and invest time. It is going to take time and resource to create relevant, engaging and valuable content. Do not expect overnight results. Build your plan and work yer plan as granny would say! You'll eventually get there. 9. You will never know what you can do if you don't try. What's the worst thing that will happen if you put a little more effort into your content marketing game? Can't be much worse than those lonely share buttons can it? 10. Don't be afraid to do the happy dance. Keep your head up. We all started somewhere. I can still remember the first days of launching my blog with a hope and prayer I would get one or two retweets. I can remember doing the happy dance when I started hitting 10 retweets a day. Set realistic goals and celebrate your milestones, not someone elses! Check out this free whitepaper for 15 Tips to Stomp Status Quo & Zoom Your Brand! Content is more than words. Content must embrace, support and invigorate your brand. It must inspire your audience to listen and engage in what you have to say! This is the sixth in a series titled “How to Get a Grip on Social Media.” The series will include a free newsletter, webinars, whitepapers, tips and best practices to get a handle on your business and social media. I try to make my content as rich and compelling as posible. Do I fall short sometimes? Of course I do. I’ll keep trying to put relevant information out there and hope that my audience see’s it as useful. I don’t put content out there because I’m looking for something in return, i.e., someone hits a like button or a follow button. I put it out there because I think it might help someone else. @Tony_Carbon You’re doing it for the right reasons Tony! Trial and error has been my best course for success! @JoshROINut @PamMktgNut Worth of content = like. It’s not so simple. People prefer pictures, for example. The time in the day counts too. @Almacme exactly. Knowing your audience is key. Never said it was simple! Up until 2 years ago I had no idea what Content or Attraction Marketing was, or the power behind the concept. Having your 12 “words that matter” to refer to when doing a new article will be very helpful. Thank you! I have found doing a short educational video explaining something I once had trouble with is a great way to offer value, especially for people just getting started. HI Richard. Yes, video is a great way to provide valuable content and also connect with folks. We use to use a lot of video and it did amazing things for our business. We’re getting ready to turn back up the video volume and we’re really excited. It’s funny about the 12 words. They just popped out at me when I documented the definitions. I like to keep things as simple as possible and help people focus on what matters. Sometimes there are too many layers of complication when in reality people just want you to talk to them about something meaningful! @Viken_shrestha Thanks for all of the mentions and RTs Biken! @PamMktgNut My pleasure Pam! The feeling is mutual! Happy Easter! @DeniseWakeman thanks Denise!! Happy Easter to you! This is a post I will be returning to…much to learn on my part. Thank you for this great information about content marketing. I hear so many “buzz words” that I start to loose interest! This information has re-peaked my interest. @susand333 Glad you like it Susan! The biggest tell is ‘invest’ – time, resources, creativity. To create something is hard work; to create something good, even harder. Creating something OTHERS find good and worthy of being shared, even that much more work. It’s work, and yet so simple: think of your audience – make good stuff people like, cool stuff that people want/need; create something that makes someone’s day/work/play better; and make it easy for them to share with others. Okay, maybe not so ‘simple.’ FWIW. @3HatsComm Yes, creating content, call to actions etc. that are relevant and valuable takes MUCH work. It’s why the prioritization of audiences, alignment to goals and objectives is so very important. Once business leaders start to understand this need their eyes usually open as to why they must know, inspire and invest in their audiences. It takes time. Thanks for your comment! Hope you enjoy the rest of your week! Love the site – Genesis Minimum theme unless I miss my guess. So easy on the eye and lovely big fonts. I’ll go with #8 – be patient and invest time. Takes time to produce consistently good posts and create relationships with other bloggers. I’m on my second blog and believe me… I’m still learning. @eugen12 @Jason__Ramsey @kunals89 Thx a mill for the RT luvs! Have a great week!